1　A large reception room developed in the Momoyama period, used by military leaders, daimyou 大名 to receive large numbers of visitors. Typically characterized by a set of formal features, collectively known as *zashikikazari 座敷飾. 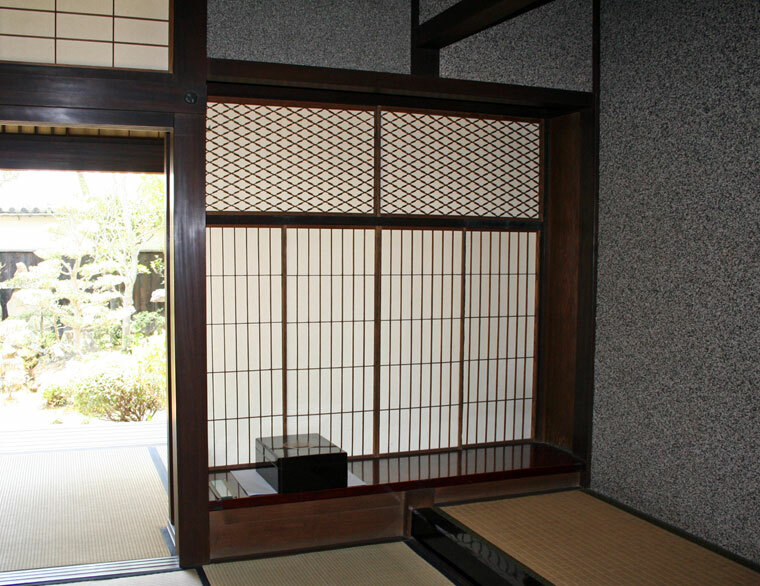 These included a shallow decorative alcove *oshi-ita 押板, staggered shelves *chigaidana 違い棚, a built-in table tsukeshoin 付書院, and ornamental doorway *choudaigamae 帳台構え. 2　A reception building in a traditional residence *shoin-zukuri 書院造. The most important building in late-medieval residence of the warrior class. It consisted of two or three rooms arranged in a line. 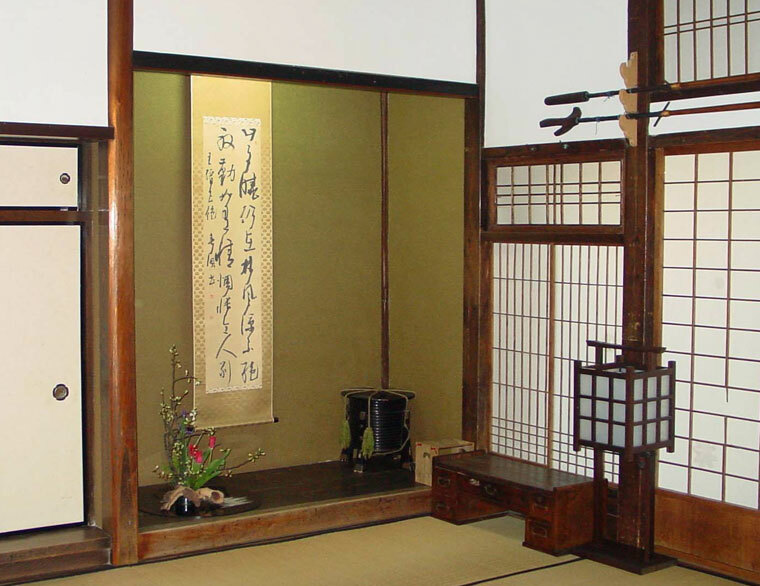 These had differing floor levels: the highest and most important room was called joudan-no-ma 上段の間 or *joudan 上段, the second in a three-room arrangement was called chuudan-no-ma 中段の間 or *chuudan 中段, and the lowest room was known as gedan-no-ma 下段の間 or *gedan 下段. These rooms had a wide veranda and faced onto a garden. 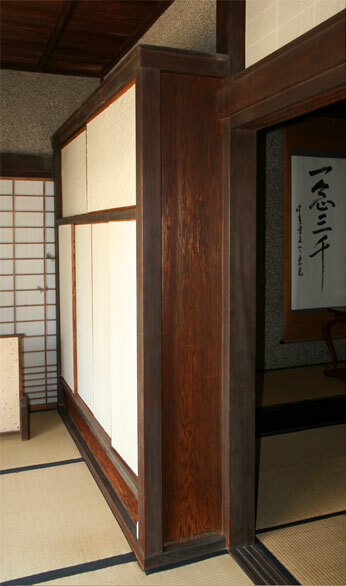 The upper room contained the decorative features known as *zashikikazari 座敷飾. 3　Abbreviation of tsukeshoin 付書院.